I rebuilt North Main Street and you can rebuilt it and other roads too. Streetmix is a new online app that let’s you custom build your own street with streetcars, bus lanes, bike lanes, and more. I made a quick measurement on Google Maps to figure out that North Main is about 94′ wide and filled in my infrastructure from there. 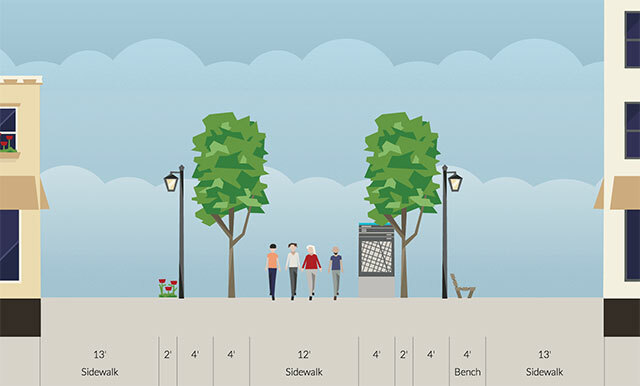 Create your streets and post the results here. Cool. Talk about a street that is much scarier to bike than it looks. Especially by the intersection in front of the fire station. Atwells between Dean and DePasquale. You have to host it online somewhere, such as Flickr (which has a free level), then post the HTML for the image, Flickr creates HTML you can paste in.